Today’s guest is fantasy author Rachel Neumeier! She’s written both adult fantasy (The Griffin Mage trilogy, House of Shadows) and young adult fantasy (The Floating Islands, The City in the Lake). Though her books had been on my radar for a little while before then, I discovered her work for myself last year when I read—and was completely enchanted by—House of Shadows. Beautifully written and character-driven, it is exactly the type of book I love and left me eager to discover the rest of her books, which I’ve heard are also wonderful. I’ve also come to really enjoy reading her blog, especially her book recommendations and lists—and that’s why I’m glad she’s sharing her top 5 female SFF authors (plus a few more) with us today! The Five Very Best Female SFF Authors of All Time . . .
…Is obviously going to be a thoroughly subjective call, right? It would actually be interesting to get everyone to come up with their own list and then compare, but I hope no one would pretend that they’re actually creating an objective list, because I don’t think that’s possible. In fact, I’m going to try to apply some reasonable criteria for “greatness”, but I’m certainly not going to pretend this list is “fair” or “true” or anything like that. This isn’t meant to be a History of Women in SF post. There are plenty of women who have clearly been important to the genre but whose work I mostly haven’t read. James Tiptree Jr, for example. She was before my time, or at least before I started reading genre fiction. I’ve read her Up the Walls of the World and that’s it, so there you go. And, by whatever chance, I simply haven’t read many books by, say, Connie Willis. So many books, so little time, right? With all the limitations inherent to this kind of exercise, though, I’ve put together a list of five female SF and F writers who I honestly believe are objectively important to the field. They certainly influenced me. Plus I’m going to add five more “honorable mentions”, a list which was actually much harder to narrow down. Plus, I want to include five more female SFF writers who I’m just positive will make greatest-ever lists if they keep writing, but who simply don’t have enough books out yet at this point. To make my top five list, here’s what an author had to offer, besides books that suit my personal taste: She had to have written a lot of books, and all or nearly all of them have to be really good books – ranging from good to superb, let’s say. Sheer quality of writing matters a lot to me, but so does the quality of the story; these writers consistently offer both. And I am impressed by a wide range of books written – does this author strike basically the same note over and over, or does she show a wide-ranging talent? Plus, if I loved this author as a kid, I still need to love her books now as an adult. 1. CJ Cherryh. If I had to pick one woman as most important female SFF writer ever, it would be Cherryh, hands down. If I was picking the single most impressive SFF writer without regard for gender, she’d still make the top five. As far as appealing to my personal taste in writing, Cherryh decisively beats out Asimov, Clarke, and even Heinlein. Hardly anybody has been more prolific: Cherryh has written something upwards of fifty books; everything from beautiful, dreamy fantasy (The Tree of Swords and Jewels) to space opera (the Chanur series) to epic science fiction (Cyteen). Almost all of her SF has a strong sociological component that very much appeals to me. If you haven’t read her before and aren’t sure where to start, I’d suggest the Chanur series for SF and Fortress in the Eye of Time for fantasy. If you don’t like those, I’m not sure Cherryh is going to work for you. But for me, she’s absolutely the top genre writer of all time. 2. Patricia McKillip. I am convinced that McKillip is the very best fantasy author writing today. I wouldn’t say she has the broadest range ever. Rather, I would say she ranges from high fantasy straight up to writing so beautiful it’s like poetry disguised as prose. Like poetry, sometimes her stories leaves you asking, “What? What was that? What just happened?” But, again like poetry, her work is so beautiful you don’t even mind. McKillip has written a couple of SF novels as well as her more accustomed fantasy. She has written something like twenty books, all of them lovely. If I were picking my top ten fantasy novels of all time, half of them would be hers. For me, The Book of Atrix Wolfe and The Changeling Sea fight it out for top place in a body of work that is just exquisite. 3. Diana Wynne Jones. A few years ago, when I decided to pick up all the DWJ novels I hadn’t ever read, I was amazed to find how many there were. I mean, I already had a lot of her books – but it turned out there were as many more again that I hadn’t ever read. What a pleasure to pick up this amazing backlist! She must have written something like thirty books. Some – like Charmed Life – are MG stories that still have tremendous charm for adults. Others, such as Hexwood, really push the boundaries of normal fantasy. My favorite of them all is Dogsbody, though the Chrestomanci series never gets old. 4. 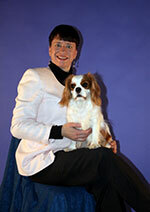 Lois McMaster Bujold. I’m sure everyone’s already a huge fan of the Vorkosigan books, right? No one has ever written better space opera – right? And her fantasy is very good, too, though I know not all of her fantasy novels have had such wide appeal. If you generally read fantasy and are thinking of giving SF a try, I’d suggest you start with Brothers in Arms. Or if you love the Vorkosigan series but are not familiar with Bujold’s fantasy, I’d recommend The Curse of Chalion, which is outstanding. Bujold has nineteen books out so far, and every one of them is good – many are amazingly good. 5. Octavia Butler. Butler unfortunately only wrote fourteen novels before her untimely death. Fourteen is so few. And yet I couldn’t leave her off my top five list, because of the sheer power of her writing. When Butler died young, it was a huge loss for the literary world. I still haven’t read Kindred. I’ve put it off for years, because after I read it I will never again have the chance to read a Butler story for the first time. If you haven’t ever read anything by Butler, then I don’t know. Patternmaster was her first; she was still learning how at that point. Even though it’s not her best, I’d almost suggest setting aside a few months, starting with that one, and reading all of her work in the order it was published. Honorable Mentions: These are five female SFF writers who have written a lot of great books and who I really wanted to include; you know how it is when you’re narrowing down a list, right? 1. Barbara Hambly. You may know that Hambly has written more than twenty fantasy novels – many of which I really love – but maybe you don’t know that she has also written more than a dozen really excellent historical mysteries? Her Benjamin January series, set in 1830s New Orleans and starting with A Free Man of Color, is my favorite mystery series ever. As Barbara ‘Hamilton’, she is also writing a series featuring Abigail Adams as the protagonist. Plus, she began her historical vampire series, starting with Those Who Hunt the Night, well before the current vampire craze got underway. If you’re tired of sparkly vampire paranormals, you owe it to yourself to try Hambly’s series, which is superb. 2. Elizabeth Moon. Moon has written a lot of fantasy and also a lot of SF, close to 30 books in all so far. I haven’t loved all of her books, but she has definitely hit the ball right out of the park more than once. I don’t think you can beat her original Paksenarrion trilogy for heroic fantasy, and she’s written some excellent space opera as well – Hunting Party is my favorite on the SF side. Moon also wrote The Speed of Dark, which is in a class all by itself and deservedly won the Nebula the year it came out. 3. Sharon Shinn. Shinn has written quite a lot of adult and YA fantasy and some that I might personally call science fantasy (I expect definitions vary a lot with that term) – more than twenty books so far, I think. Shinn’s novels often have a strong romance component, which is always very well done. Shinn’s Jenna Starborn is a brilliant SF retelling of Jane Eyre, but my favorite of hers remains her first novel, the exquisite The Shape-Changer’s Wife. 4. Juliet Marillier. I have loved many but not all of her books. I always love her writing, though. She has just the lush, lyrical style I love most for high fantasy and fairy tale retellings. 5. Martha Wells. She’s written more than a dozen fantasy novels, and though I’ve only read seven of them so far, I’ve loved them all! I’m reading her whole backlist right now, and enjoying every minute of it. If you love top-notch worldbuilding, engaging and believable characters, and smooth prose (particularly vivid, panoramic description), you should definitely pick up Wells’ Raksura trilogy – or the Fall of Ile-Rien trilogy. Or probably any of her others, but I haven’t read them all yet! Narrowing the list down for those honorable mentions was really tough. Really tough. But you know what’s easy? Naming five women who are such amazing writers that if they keep writing, it’s just a matter of time before they top all the lists. These are the people where you read a novel of theirs and it’s like this huge revelation. Whoa. That’s how it’s done. 1. Elizabeth Wein. Try The Sunbird first and you’ll need her whole backlist. Her historical novel, Code Name Verity, is possibly the single title on my packed TBR shelves that I look forward to the most. 2. NK Jemisin. She only has five books out so far, but it’s no surprise her debut fantasy was shortlisted for the Hugo and Nebula last year – and it’ll be a real shock to me if The Killing Moon doesn’t wind up nominated for everything this year. 3. Megan Whelan Turner. As far as I know, she’s just got one YA series ongoing – the Attolia series. But it’s a brilliant series so far, with one of the most engaging YA protagonists ever. 4. Maggie Stiefvater. She’s got seven books out, so her numbers are starting to get up there. I’ve only read two of hers so far, but if she continues to write books as outstanding as The Scorpio Races and The Raven Boys, then she’s going to be landing right on the top of my personal must-buy list. 5. Judith Riley. Tired of the standard Medieval European setting for fantasy stories? Well, try A Vision of Light and you’ll fall in love with this kind of setting all over again, because Riley does it better than anyone else in genre fiction. 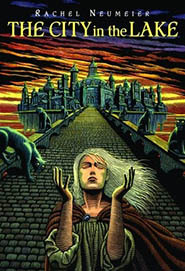 And the protagonist of this series, Margaret of Ashbury, has one of the most distinctive and engaging voices of any fantasy protagonist. I think Riley has about half a dozen novels out so far; the three I’ve read have been just outstanding. Okay – who am I missing? Who’s the greatest SFF author who has emerged in the last decade? Who’s the most amazing “Golden Age” writer we should all back up to read? Most of all, who is YOUR personal favorite female genre author? Rachel Neumeier started writing in graduate school as a break from research, but years ago allowed her hobbies take over her life. Along with writing both adult and young adult fantasy, she now gardens, cooks Indian food, breeds and shows Cavalier King Charles Spaniels, and occasionally finds time to read. 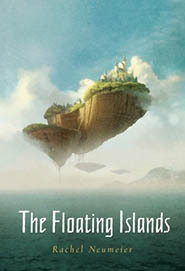 Her most recent young adult novel, The Floating Islands, was a Junior Library Guild selection and was selected by Kirkus as a best book of 2011. 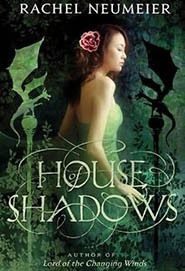 Her most recent adult title, House of Shadows, has also received excellent reviews. Black Dog, her first foray into young adult paranormal, will arrive on shelves everywhere in the spring of 2014. Visit her website at www.rachelneumeier.com or follow her updates on Twitter (@RachelNeumeier). « Women in SF&F Month: Julie Czerneda Post and Giveaway!